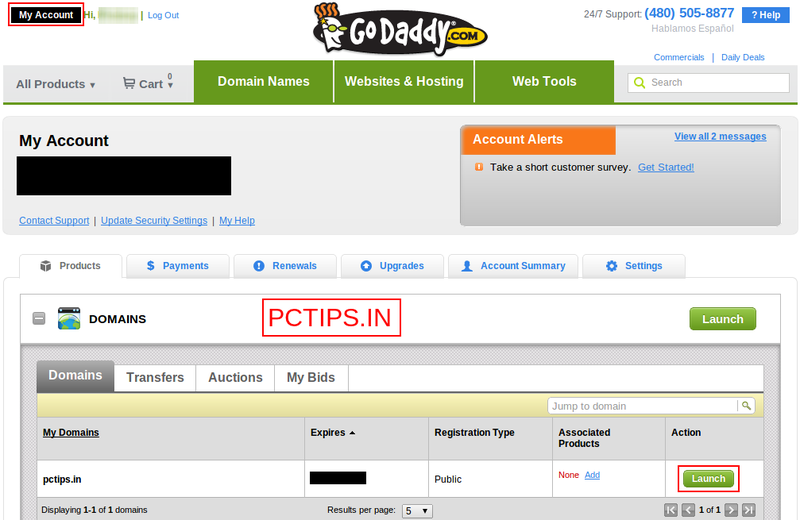 If you have registered a new domain with 'GoDaddy' then you will have to set it up so that you can get your website like this : http://pctips.in (no www ) . 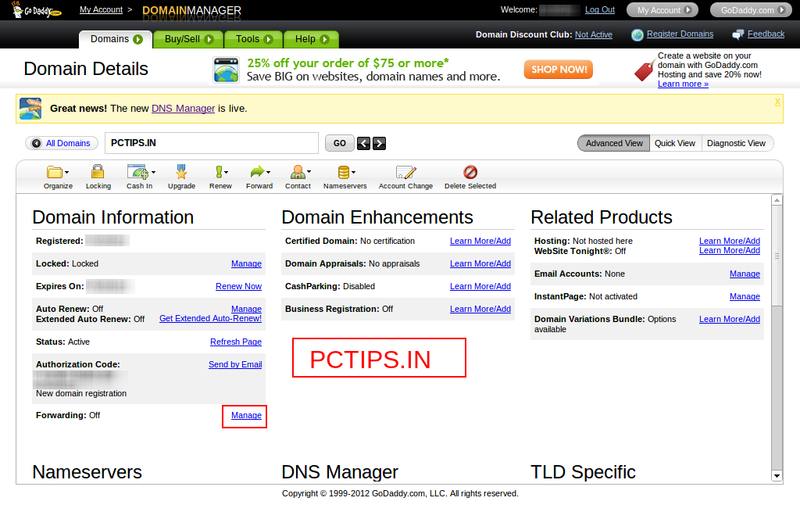 Usually if you give without www, then it wont go to your web site, instead, it goes to web page showing 'This domain is parked at GoDaddy ( blah blah blah )'. Login into your Godaddy account. 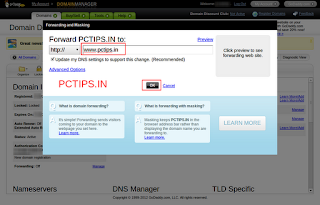 Then click on 'Launch' to the right of the domain you want to set up forwarding without www. 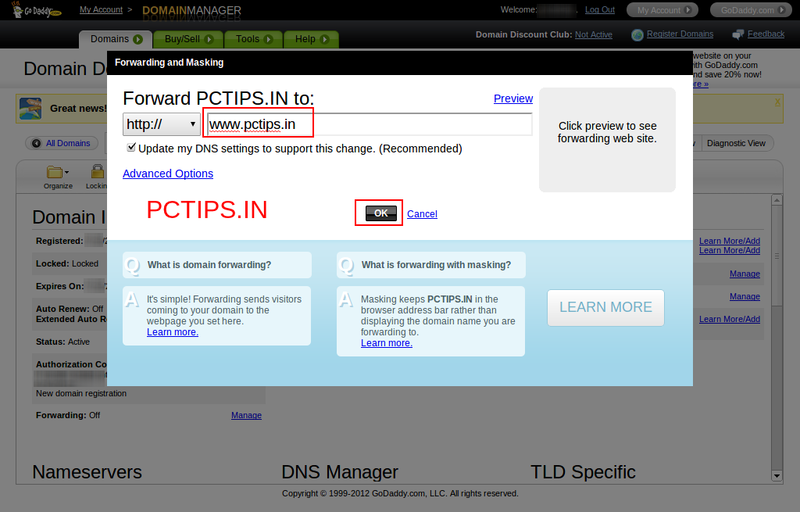 Then click on 'Manage' next to 'Forwarding'. 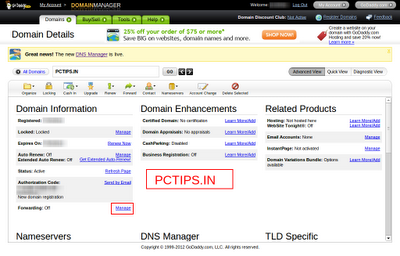 A pop up will appear.